The day after the launch of Kim Dotcom's new Mega service, the StopFileLockers anti-piracy group has begun a campaign to cut off its finances. 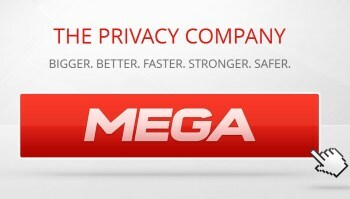 Kim Dotcom lifted the lid on Mega yesterday, effectively reincarnating the Megaupload service that was destroyed in early 2012. To avoid that sort of unpleasantness in the future, Mega has said that its legal team is working to ensure that it complies with all relevant laws and claimed that its launch is "the most closely scrutinized start-up in internet history." But StopFileLockers head Robert King isn't convinced. He said that while Mega presents a "thinly veiled appearance of a legitimate cloud hosting service," in reality it has "all the fundamental qualities" of an infringing file-sharing service, and so his organization has launched a campaign to have its payment processor accounts shut down. Instead of going after file-hosting sites directly, StopFileLockers attempts to disrupt their cash flow by having their payment processor accounts terminated. It's apparently a successful strategy, as King claimed in 2012 that he had disrupted the cash flow of hundreds of sites and forced the shutdown of 54. Now he's turned his sights on Mega. "Mega itself does not process payments because nobody would process payments for it. A couple of Mega resellers have PayPal and they are being terminated," he told TorrentFreak. "It has been widely reported that Paypal requires certain conditions to be met to become an approved file sharing merchant, on the face of it many of these conditions cannot be met by Mega." King claimed that Mega is already sharing a "significant amount" of infringing material, although he declined to provide evidence to support the charge, and said that "there is no mechanism by which rights holders can gain access to remove files, there appears to be no plans to institute arrangements whereby files can be matched against MD5 or other fingerprinting technology for automated copyright removal and the detection of harmful content, and the site has not shown any wish to comply with the policies of the payment processors with whom it seeks to do business." "Given the site lacks many of these safety features, we believe that Mega is no different to various other file locker services which have had various payment services canceled or suspended," he added. And while Mega does have a takedown policy for copyright infringing material in place, King said that nothing short of "proactive filtering" is adequate to qualify it for payments from PayPal and other processors - but because of Mega's system of encryption, conventional filtering methods won't work. Mega has not yet commented on the StopFileLockers campaign.